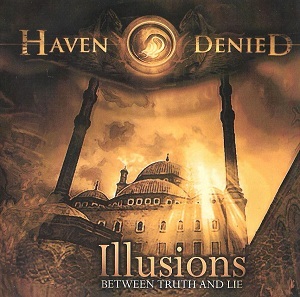 Haven Denied are a metalcore band from Portugal. Formed eleven years ago, "Illusions" is their third album. The album is packed full of powerful thrash metal guitar work and lots of raw power - listening to the album I can imagine the band going down well with some serious moshpits. I have to say I really dont like the vocals on the album and for me they turn the album from one with a lot of potential into an album I wouldnt consider buying. The music is good and the power of the crushing guitar riffs works well, but the vocal style just doesnt appeal sadly.